You are here: Home / Great Deals / V-Neck Sweater Just $9.99! Down From $40! This deal expires on February 17! 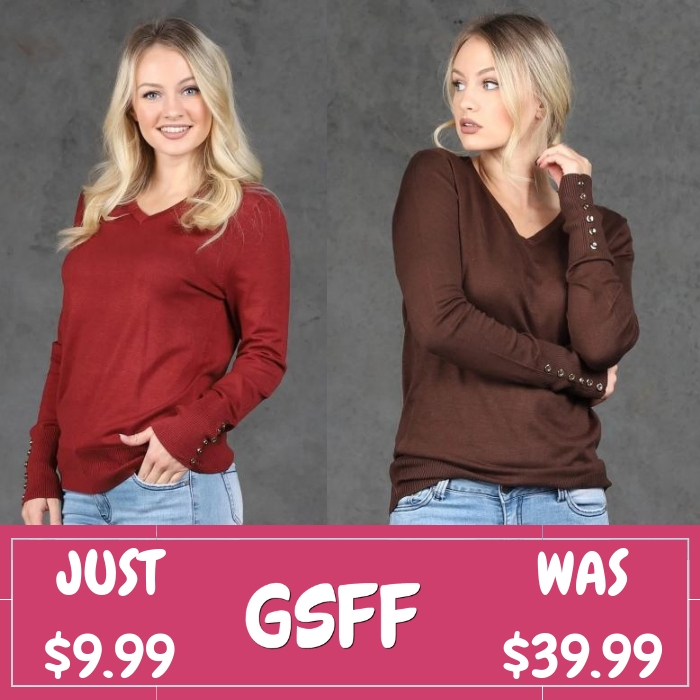 At Jane, you can get this Button V-Neck Sweater for just $9.99 down from $39.99! Shipping is $3.99 for the first item and $2.99 for each additional item. These sweaters are the perfect staple piece to your cold weather wardrobe! They’re so soft and pair great with anything, whether you want to dress them up or down, you’ll look fantastic!